Eagle Nest Waterfall Ice is located in Lantang Valley. 1 pitch of 30m. 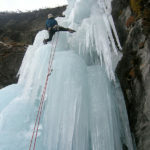 You can climb same day with Jean Coudery Waterfall Ice. This is a memorable ascend that you will cherish your lifetime! 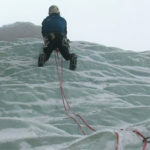 We provide IFMGA Guide for this ice climbing.